Venom, or the Venom Symbiote, is a fictional extraterrestrial life form appearing in books published by Marvel Comics, usually those featuring Spider-Man. The creature is a Symbiote, a sentient alien, with a gooey, almost liquid-like form that requires a host, usually human, to bond with for its survival, as with real world symbiotes, and to whom it endows enhanced powers. When the Venom Symbiote bonds with a human, that new dual-life form refers to itself as Venom - More about Venom Review...Keep reading !! The Symbiote's first known host was Spider-Man, who eventually separated himself from the creature when he discovered its true nature. The Symbiote went on to merge with other hosts, most notably Eddie Brock, its second and most infamous host, with whom it first became Venom and one of Spider-Man's archenemies. Comics journalist and historian Mike Conroy writes of the character: "What started out as a replacement costume for Spider-Man turned into one of the Marvel web-slinger's greatest nightmares." Venom was ranked as the 22nd Greatest Comic Book Villain of All Time in IGN's list of the top 100 comic villains, and 33rd on Empire's 50 Greatest Comic Book Characters. Though it requires a living host in order to survive, the Venom Symbiote has been shown to be adept at fending for itself independent of a host. 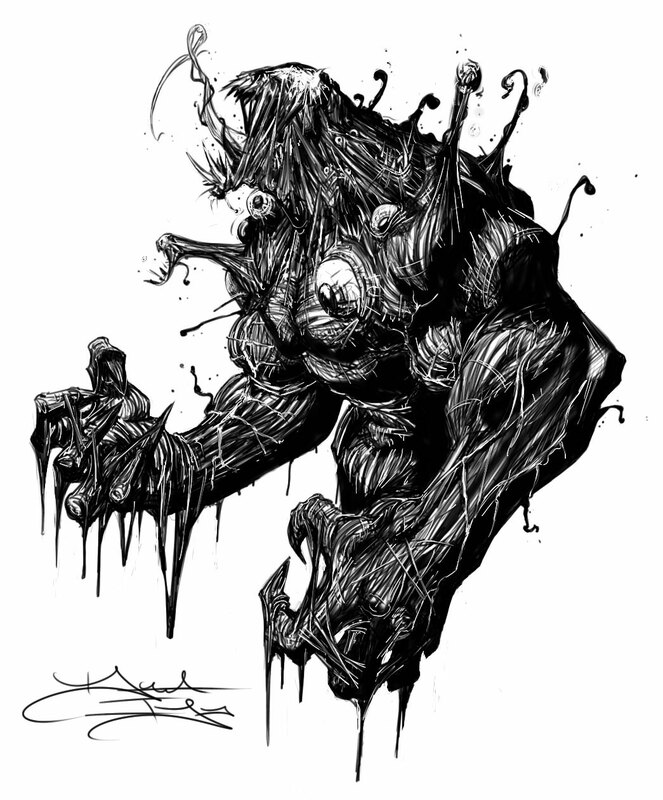 The Symbiote is capable of shapeshifting abilities, including the ability to form spikes or expand its size, as well as mimic the appearance of other humanoids after it has obtained a host. The organism can additionally use its shape-shifting abilities to conceal itself by altering its coloration or by becoming completely invisible. It also contains a small "dimensional aperture," allowing its hosts to carry items without adding mass to the costume. The Symbiote also exhibits telepathic abilities, primarily when it needs to communicate with its host. Because of its contact with Spider-Man, the Symbiote grants all of its subsequent hosts that hero's powers and cannot be detected by his spider-sense. As Spider-Man's fighting style is partly dependent on his spider-sense, his effectiveness was somewhat hampered when he battled Eddie Brock. Retaining its memory from the time it was bonded with Spider-man, Venom is also capable of producing webbing similar to Spider-man's own variety created from itself. Venom exhibits some immunities to the supernatural powers of others such as the Penance Stare of Ghost Rider or Spider-Man's extrasensory spider-sense. Some incarnations of the Venom Symbiote have shown it able to replicate itself. This ability is shown in Spider-Man: Reign, when Venom recreates his own Symbiote to combat his loneliness. This ability is also used by Venom in Spider-Man: Web of Shadows when he discovers the ability to copy his Symbiote and uses it to take over Manhattan. The Venom Symbiote is vulnerable to fire and sonic waves, causing it great pain and exhaustion if it sustains enough exposure. It can sense and track all of its offspring symbiotes except Carnage—which learned how to block this ability shortly after bonding with Cletus Kasady and confronting Venom/Eddie Brock for the first time. Venom appears in Spider-Man, voiced by Hank Azaria. Eddie Brock appears as Venom at the end of "The Alien Costume: Part Two", after Spider-Man rejects the symbiote. He was defeated at the end of "The Alien Costume: Part Three". Venom's last appearance was in Season Three, where he teams up with Spider-Man and Iron Man against Carnage, Dormammu, and Baron Mordo. Venom appears as an antagonist in Spider-Man Unlimited, voiced by Brian Drummond. Venom appears in The Spectacular Spider-Man, where he is voiced by Ben Diskin. In "The Uncertainly Principle", the symbiote arrives on Earth by stowing away on the space shuttle. After being rejected by Spider-Man, it bonds with Eddie Brock in "Intervention", and is ultimately defeated in "Nature vs. Nurture". Venom reappeared in Season Two episodes "First Steps", "Growing Pains", and "Identity Crisis", where he attempts to expose Spider-Man's secret identity, but his plans are foiled. Venom appears in the Disney XD animated series Ultimate Spider-Man, beginning in the fourth episode, "Venom", in which he was voiced by Matt Lanter. Norman Osborn and Doctor Octopus create the symbiote from a sample of Spider-Man's blood. After it escapes from its creators, it temporarily fuses with a number of characters, including Flash Thompson, Nova, Power Man, Iron Fist, Spider-Man, and ultimately, Harry Osborn, with whom it remains attached for some time. In "Venomous," the Venom symbiote takes control of Harry, but Spider-Man and the other heroes are able to free him. Venom reappears in "Finale Part 2 Rise of the Goblin" with Harry still as its host. Harry manages to shake off the Venom suit by electifing it, providing Osborn (as the Goblin) to take the suit and vowing to find someone more deserving. Venom will appear in the summer 2013 animated special Phineas and Ferb: Mission Marvel. 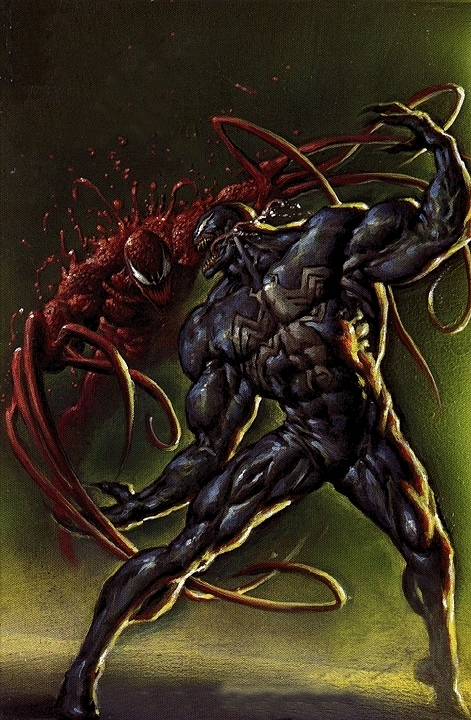 Venom's first appearance in a motion picture was originally planned for a titular film written by David S. Goyer and produced by New Line Cinema, in which Venom would have been portrayed as an antihero and Carnage as the antagonist. 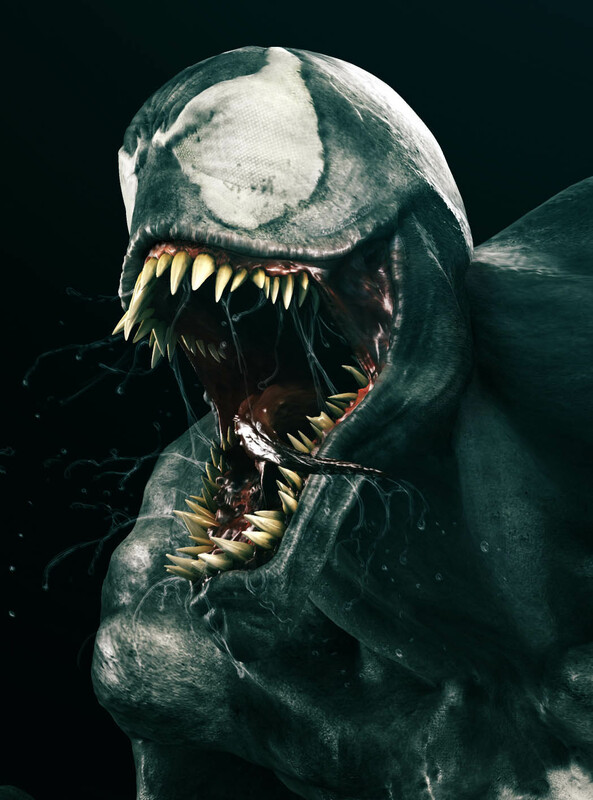 By 2007, the film rights to Venom had reverted to Sony. Eddie Brock/Venom appears as an antagonist in the 2007 feature film Spider-Man 3, played by Topher Grace. In the film, the symbiote, after being rejected by Peter Parker, joins with Eddie Brock after Brock, a rival freelance photographer, is exposed by Parker to have used a fake photograph, which ruins him publicly. Venom seeks an alliance with Sandman to kill Spider-Man, but is thwarted in his plans, and killed by one of the New Goblin's pumpkin bombs. In July 2007, Avi Arad revealed a spin-off was in the planning stages. In September 2008, Paul Wernick and Rhett Reese signed on to write, while Gary Ross will direct. Variety reported that Venom will become an anti-hero, and Marvel Entertainment will produce the film. In March 2012, Chronicle director Josh Trank negotiated with Sony about his interest in directing the film.